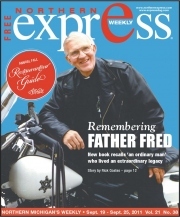 Father Edwin Frederick, "Father Fred," was a Catholic priest who served in the Traverse City, MIchigan area from 1959 until his death in 2000. At the time of his death, thousands mourned the loss of this incredible man. For the first thirty years of his time in Traverse City, her served as Catholic Chaplain at the Traverse City State Hospital, a state-run mental health facility that closed in 1989. When the State Hospital closed, Fr. Fred started The Father Fred Foundation to help those displaced residents who suddenly found themselves homeless in Traverse City. Initially, the foundation was a drop-in center where "his people" could stay in contact with the man who treated them with so much dignity. Neither a person's denomination nor belief mattered to Father Fred. If someone needed help, he was there. 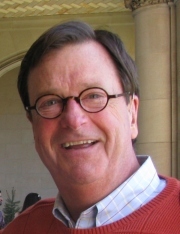 Eleven years after his death, his biography was written by Traverse City author, Paul LaPorte. 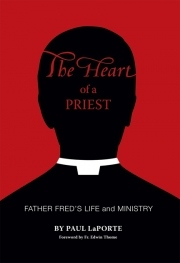 This web site is about that book: The Heart of a Priest.